HOW LADA RAY’S EARTH SHIFT REPORT WORKS + NEW ESR9 DETAILS! please allow me to share a few important details and updates! This is direct link to the main EARTH SHIFT REPORT page! Lada Ray’s Earth Shift Reports are supported exclusively by reader donations. Your donation will be used to continue delivering FREE content on FuturisTrendcast, LadaRay.info and YT, on site/blog security, and to purchase recording equipment for Lada Ray YT channel. Click on each report banner on the general Earth Shift Report page or on LadaRay.info home page to donate and read or watch! As of today, there are 9 published Earth Shift Reports. Most of the 9 reports are written, complete with maps and pics to fully illustrate the point. Sometimes throughout the report included also are additional supporting videos (oftentimes they are in Russian or in other language, with my translation). I know my readers love the written format. However, the video documentary format often offers more visual interest and flexibility. 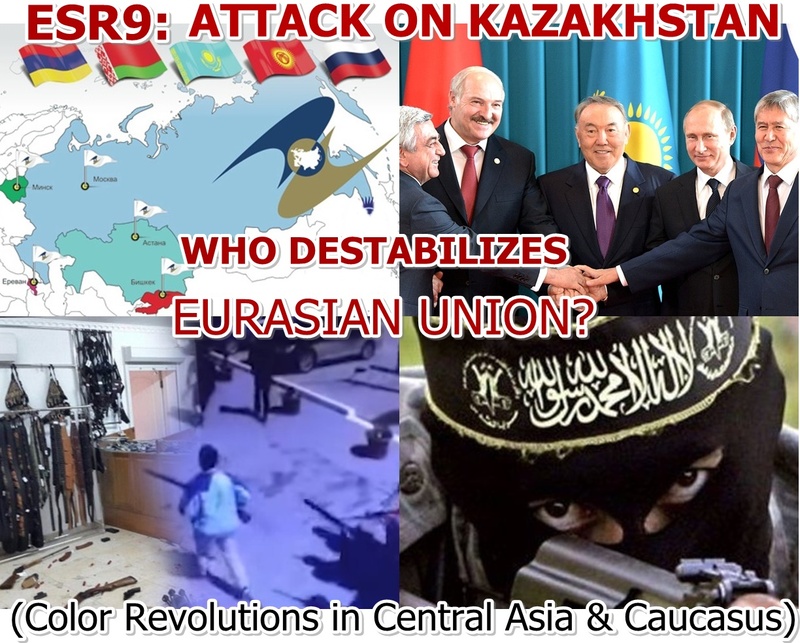 Newly released ESR9: ATTACK ON KAZAKHSTAN: WHO DESTABILIZES EURASIAN UNION? I am presently preparing the next surprise ESR, which should be out next week! While new for Earth Shift Report, ESR9 format is much like the style of my free video reports on Lada Ray YT channel. It’s pretty straightforward and includes my narrated analytics, intel and predictions, plus, as usual, maps, pics and images, helping me illustrate my point in a dynamic, more interactive than reading, format. You have the flexibility of watching videos accompanied by images, or simply listening to audio. FULL VIDEO REPORT LENGTH: 3 hours 6 minutes. This one of a kind comprehensive video report includes narrated analysis and hot intel by Lada Ray, complete with supporting mini-documentaries, pics and maps. For your viewing and bookmarking convenience and so you could easily return to it any time you wanted, Lada Ray’s narrated video report has been divided by topic into 6 self-containing segments, ranging in length between 16 and 46 minutes. Included also are 2 mini-documentaries (7 and 13 min in length). Earth Shift Reports are Copyright Lada Ray. The videos are hosted by Vimeo and password protected. NOTE: while the report length is substantial, it is rather easy to listen to. My style is informative and engaging. I guarantee this report will open your eyes to knowledge you’ve never known, and perhaps, you’ll even get entertained in the process. Besides, as mentioned above, the videos are divided into smaller segments for your convenience. You can always watch incrementally, by topic. Just bookmark the report page and return to it later. Should you forget how, you can always email us using private contact form and we will happily connect you with the right link! ‘Vimeo is an alternative to YouTube with customized, secure and private features for video hosting. I began using it for Earth Shift Reports due to the fact that ESR4 was stolen from YT and illegally distributed; I had to file copyright violation claims, etc. Have you been able to watch ESR9 videos yet? It’s super-easy! Once you’ve donated, you’ll be directed to the report page, as usual (see details on how it works on ESR9 donation page). Once inside the report page, all you have to do is cut and paste password provided onto each video (where it says ‘password required’) and click on video (as you’d usually do on YT) to watch right there on the ESR9 report page! We have full screen option for your viewing pleasure! As to my two mini-documentaries included with the report – just click on each screen – no password needed for those! FULL INSTRUCTIONS ARE PROVIDED ON THE REPORT PAGE! To read or watch your ESRs, please click on Donate button on top of that particular ESR payment page. You can donate any amount (suggested min. donation is between $5 and $25 US for most reports, but greater donations appreciated); all credit or debit cards and PayPal accepted. It’s easy, private and secure! Your info is never shared with anyone for any reason! NOTE! Donation payments are processed by PayPal. If you have an account, please go through regular PayPal sign-in. However, NO PayPal account is necessary to donate: click on ‘Don’t have a PayPal account?’ in the lower left corner of payment screen and donate with your credit or debit card! Once through payment procedure, PayPal will direct you to the report. NOTE! PayPal will take you directly to the report page. If you can’t access the report after you’ve donated: one of the potential problems may be your Pop-up blocker or Adguard. Please disable these on your computer when you donate and access the report. If you still have difficulty accessing report, please email us. What if you are unable to use PayPal or what if your country’s government is blocking payments? I’ve received worrying emails from two Japanese fans who complain that they are unable to donate via PayPal. Then we discovered that Japanese government is creating obstacles for its citizens’ international transactions. A new article on that is coming! There are other countries that may do something similar. We intend to keep PayPal because we find it so very convenient for most countries’ transactions (and remember, in many countries you usually don’t need a PayPal account!). I solemnly promise that this time I’ll take it seriously. We are looking into setting up the Bitcoin payment alternative, as well as other potential alternatives (such as Qiwi, which is an international Russian service: Wikipedia) for all ESRs and Consultations. To the above list, soon we also plan to add our new SHOP & Lada Ray online WORKSHOPS. All that will be posted on LadaRay.info. I’ll have a separate announcement soon! Stay tuned for the news on the donation/payment options front! It takes much time & effort to produce each Earth Shift Report! Please donate and watch ESR9, and read other Earth Shift Reports! This will tell me that you want me to continue creating them! As always, my sincere gratitude for all those who support my work regularly, and who read & watch my Earth Shift Reports! This means a lot! Analysis of the Foiled Kazakhstan ‘Agricultural’ Color Revolution of May 21, 2016 (my term). Who is really behind this color revolution: Soros, US NGOs (Endowment for Democracy, USAID, etc. ), social media IP addresses traced to the US, etc. PART 2: Aktobe terror attacks. Why Kazakhstan was chosen for color revolution & attacks. On the border with Russia: Why Kazakhstan’s fastest growing city of Aktobe (Aktyubinsk) was chosen for terrorist attacks on June 5, 2016. I put you in the middle of the action and explain in detail, with maps and specifics, why. The attack on Pallada gun shop and killing of the Ukrainian-Russian salesman, plus, the mourning and funeral – with pics. Attack on the military/national guard barracks, bus hijacking, etc.Why was specifically Kazakhstan, with its stronger military and central power, singled out for the color revolution and terror attacks? Why not a weaker Central Asian state such as Kyrgyzstan or Tajikistan? How Russia is key to everything that goes on in the region: all about Russia’s interests, involvement, role and more. Hot Central Asia intel: the real situation in Kyrgyzstan, Tajikistan, Uzbekistan, Turkmenistan. Footage includes security op by authorities, arrests and found weapons (cut metal rods, grenades, Molotov cocktails), subversive literature, vodka, money, etc. This is a part of the documentary aired on Kazakh central TV. It directly names the culprits of the color revolution attempt: Soros, Endowment for Democracy, USAID and other US NGO’s, as well as US government. Other connections named in the documentary are: Ukraine’s fascist ‘right sector’ Islamist fundamentalists and ISIS. Kazakh president Nursultan Nazarbayev announced that Kazakhstan ‘won’t allow ‘Ukraine Maidan’ scenario in the country,’ thus indicating he knew very well where the wind blew from and was prepared to deal with it. Complete, packed with action, on-the-ground coverage of what went on on June 5 in Aktobe. Several terrorist groups were involved, some of which attacked 2 gun shops, others – the military installation, yet others hijacked a bus with hostages and a police vehicle. Panic in the city: note that this amateur footage was shot from different vantage points from lay people’s windows, balconies and from ground level. The whole thing is especially troubling because everything is happening in densely populated areas, where civilians could have been easily hurt, which, thankfully, didn’t happen. The footage shows the gunmen, attack on gun shop Pallada, the hijacking of the bus with hostages, etc. The opening footage was uploaded on YT by the terrorists themselves. It shows them in one of the hijacked vehicles, being chased by and shooting at police. Authorities reaction to the color revolution and Aktobe attacks. What was used as a pretext for riots. Kazakhs aren’t fooled as to who’s really behind color revolution attempt. Police, intelligence and national guard preparedness & actions during attacks and color revolution. Global downturn and why Kazakhstan’s Agricultural Land Reform was really planned. Backtracking on the Agricultural Land Reform, firing/reprimand of ministers and placating of the population. The fight of Russian-speaking Kazakh elites vs. Kazakh-speaking elites. The issue of the Russian-speaking, Christian population (Russians, Ukrainians and Russian-Germans). Past problems and what’s happening now. Part 4: Complicated Game: War against Russia. How the global seesaw works. Russia’s role as Global Balancer & Stabilizer – explained in pics & examples. Why those who want to keep the world destabilized desperately need to do away with Russia. Rocky relationship and falling out: US Empire vs. globalist elites (yes, you’ve heard me right!). US – the globalist elites’ super-tool gone rogue. War on several fronts and the breakup of the old world structures. Would globalist elites actually prefer Russia to get stronger to curb US appetites? Russia’s support system and the Eurasian armchair arrangement – explained in pics & examples. Crucial importance of Kazakhstan and Belarus for Russia & Eurasia. Russia/EAU-ASEAN Sochi Summit and how it’s related to the timing of Kazakh events. Why did Putin go to Astana? Real reason EAU leaders gathered in Kazakhstan just after the foiled color revolution. Eurasian Union, its development, goals & global role. Who wants to prevent EAU from being built and why difficulties should be expected. 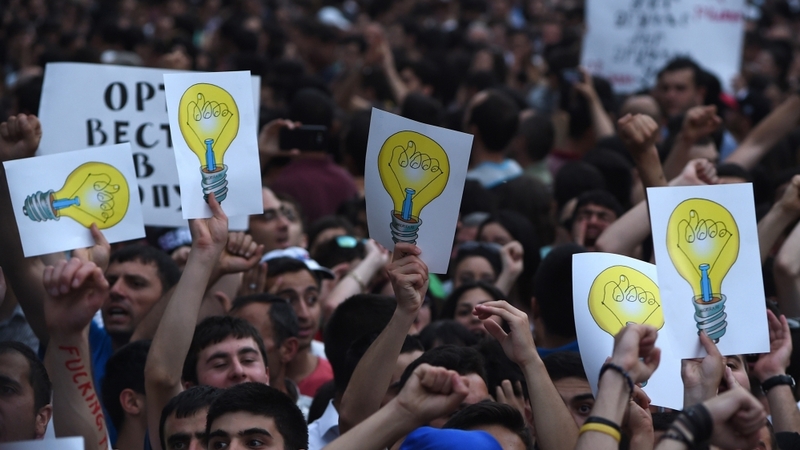 Part 5: Color Revolution Technology & 4 Armenia Destabilization Attempts. Armenia’s many problems. One of the two newest EAU members and four attempts at Armenia destabilization. Karabakh war and Russia-Armenia relations. 4 day April, 2016 Nagorno-Karabakh war between Azerbaijan and Armenia – qui bono? Russia’s role in quelling the conflict. 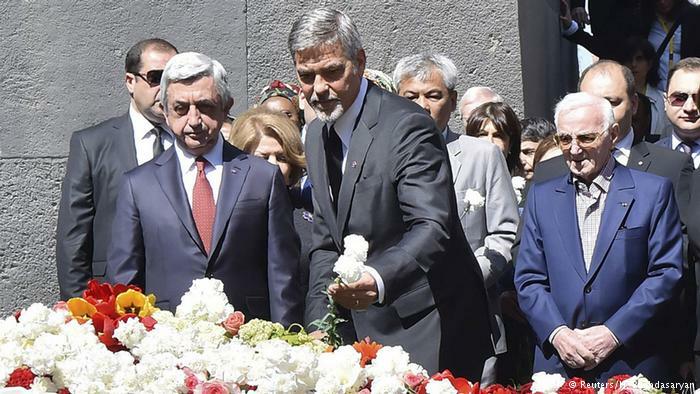 How Putin played peacemaker between Armenia and Azerbaijan and why Armenians are peeved at Russia. LA connection – who influences Armenia? Azerbaijan: which way now: Russia vs. Turkey/ US? Prospects for joining EAU. Georgia: US patsy. Will there be changes? PLUS: let’s return to Central Asia. On the border with Afghanistan and Pakistan: Tajikistan’s precarious position. Republic or monarchy? President Rakhmon wants to pass his power to his son. Copyright June 11, 2016 Lada Ray. All rights reserved. WATCH IT NOW! Earth Shift Report 9: ATTACK ON KAZAKHSTAN. WHO DESTABILIZES EURASIAN UNION? Earth Shift Report 9 is here! PART 1: Kazakhstan’s ‘Agricultural’ Color Revolution (my term). Hot Russia & Central Asia Intel. Part 3: Nazarbayev & Kazakh elites. Kazakh vs. Russian-speaking elites. Tough response to color revolution. Agricultural Land Reform. Chinese factor. Part 4: Complicated Game: War against Russia. Russia as Global Balancer & why Kazakhstan is so important to Eurasia. This part contains my brand new EARTH SHIFT MATERIAL, never previously discussed in public! Part 5: Caucasus Intel: Electric color revolution and four Armenia destabilization attempts; Nagorno-Karabakh war; Azerbaijan conundrum; Georgia as US colony; (+ latest intel from Tajikistan). Part 6: The Devilish Poker. Wrap-up & Conclusions. ORDER EARTH SHIFT REPORT 9! Islam is one of the four major global religions. Today the Muslims of the world begin celebrating the holy month of Ramadan. I found very interesting and revealing this RT documentary about the quintessential land of contrasts, Chechnya, one of the many small autonomous republics located in Caucasus. The small Caucasus ethnic autonomies within the Russian Federation are predominantly Muslim. But Chechnya stands out even among these, having in the past experienced a devastating war, complete with foreign fundamentalist Islamist invasion. Today, it stands out for a different reason – the fast and amazing rebirth it has experienced due to the vision and organizational talent of its leader Ramzan Kadyrov, and the financial support of Vladimir Putin and Moscow. But to me, the biggest contrast of all is the staggering difference between how Russia is able to work with and integrate its many diverse religious and cultural minorities vs. the multi-culti mess in the EU and other countries/continents. As a result of the EU sanctions against the Russian civil aviation industry, at least one Russian airline “Dobrolet,” had to cease operations. Dobrolet flies to Crimea and now Crimea is in a difficult situation due to a very limited airline connection with Russia. Crimea presently doesn’t share land border with Russia. Dobrolet Airlines is trying to secure aircraft leasing deals in China and Singapore to replace Western jets it is banned from using. It appears, Dobrolet is also in negotiations with Boeing to purchase 16 jets. I know they are in dire straits, but my recommendation would be NOT to deal with Boeing, considering recent Boeing 777 downing in Ukraine, company’s US origins and reputation. In response, Vladimir Putin announced that Russia is considering response sanctions against the EU. The proposal is to ban EU flights across Russia. Considering Russia covers 1/6th of the Earth’s land mass and occupies large parts of both Europe and Asia, it is a big problem for European flights to Asia and the Far East. All EU flights to Japan, S. Korea and other Asian countries go across Russian territory. This saves 3-4 hours flight time and $40,000 per flight in fuel cost. Russia may ban some, or all, such flights, making planes take longer and more difficult routes. There is no final decisions yet, but it is expected soon. Meanwhile, EU airline stocks are taking a hit in anticipation of the Russian sanctions. Gas sanctions on the horizon? EU, when imposing their sanctions, was very careful not to touch the Russian gas industry, as first and foremost, the EU would be hurting itself. It has become known that Gazprom has sent a letter to all its trading partners, proposing to trade its gas for rubles, bypassing the dollar entirely. So far, the tone of the letter is mild, but it may change, depending on the response. We discussed this in some of my previous articles. The reason Russia was unable to transition to the ruble-based gas trade, despite trying for years, is because Russia’s main trading partner, EU, is thoroughly under the US thumb. Even if the EU wanted to transition our of the dollar trade, they can’t as US won’t let them. However, the circumstances have changed, and Russia will eventually sell more gas to China than to Europe. The anti-Russian sanctions backdrop may make Russia more motivated to press for ruble-based trade with the EU very soon. US is mortally afraid of this, and this is why it will continue twisting EU’s arms. US will also use all available methods to try to scare Russia. This is why, unfortunately, US will continue war in Ukraine for as long as Ukrainians allow them to be on their territory. Let’s face it – this war is conducted, masterminded and financed by the US – and Ukrainians are just the convenient dupes and cannon fodder. US is after Russia – Ukraine is just a side effect. If you haven’t yet, it’s useful to watch my two related videos, analysing this topic: Russia-China Deal of the Century – Huge Blow to US/EU and Predictions: Russian Gas and Russia-China Deals. In addition to destroying Russia, which is the prime objective of the US/UK and their cronies, they wouldn’t mind weakening the EU. By fighting with Russia, by imposing sanctions, EU is happily walking into the trap US/UK so skillfully laid out for them. This isn’t the first time: 100 years ago Europe was dragged into WWI after Great Britain successfully pitted Austria-Hungary/Germany and Russia against each other. The result was the most disastrous century in recent human history. WWII happened the same way. I wonder, will humans ever learn? Meanwhile, many Russians feel their government is being too soft with their response to Western sanctions. There are demands for tougher response to the US and EU sanctions, including gas supply sanctions against the EU. If EU continues on this destructive path, they MAY get gas shortages just in time for Christmas. At least, that’s what some Russians demand their government do. Russians also demand that their government boot out the ‘fifth column’ out of the country’s media and government. It is important to emphasize that Putin can’t afford to act rashly and emotionally as some people seem to demand he does. The world is so unstable right now that it would be disastrous not only for Russia, but for the world in general. Putin’s balanced and cautious stance is what keeps the world spinning. Hot heads need to calm down, and that includes the hot heads not only in Russia, but also the well-meaning hot heads in the West. Those who demand all kinds of drastic actions from Russia, have to take a deep breath and look at the consequences. At the very least, read my articles (and my additional clarifying writing in the comment section), which explain a lot of the underbelly of what’s going on. As always, Putin will be very careful with his responses. He will consider all sides of the issue; he will set aside emotions. However correct and justified, these emotions is something the leader of Russia cannot afford. It is abundantly clear that the West, led by the US/UK/Canada, has taken a path to self-destruction. I don’t think they fully realize it yet that the path of harming Russia is in fact a bona fide path to their own destruction. When they finally get it, it will be too late. Therefore, Putin has to act in such a way that he saves not only Russia, and Ukraine, but also the rest of the world. It is my firm and extremely confident prediction that what is good for Russia, is good for the rest of the world. Russia must, and will, act in its self-interest; but by doing so, Russia also acts on behalf of the higher good of the entire planet. The sooner people in the West grasp this, the better for all. See more in Predictions. This just in! Kremlin officially announced the broad response sanctions against all Western countries who imposed sanctions against Russia. The list of banned imports from such countries is being drawn, but it is already known that it will affect agriculture, raw materials and food from the West, including US, Canada, UK, some EU countries, and Japan. This ban will be effective for one year, but can be revised as necessary. According to Russian reports, the ban will not touch average Russian citizen, but will impact the luxury market. See report by RT: Russia hits back with agricultural bans for sanctioning countries. As of this writing, Russia halted all agricultural imports from the US for the term of one year. Russia also banned agricultural imports from Romania. Imports from Italy and Greece will be limited. Canada’s exports of raw materials to Russia are expected to be banned as well. Additionally, the McDonald’s presence in Russia is in question, although for now, only milk-related and cheeseburger McDonald’s products are under health services investigation. See my post about that: War on All Fronts: McDonalds May Be Booted out of Russia; Latvia Bans Russian Superstars; Why did Yatsenyuk Resign; Repatriation of Russian Capital. Russia also banned all agricultural imports from Poland as the country that was, and is, largely behind the Ukraine crisis. Poland expected to export to Russia a billion rubles worth of apples, among other things. Polish mercenaries are the driving force behind the Ukraine army, which without the participation of the Lithuanian and Polish mercenaries, would have fallen apart and would not have been able to effectively bomb the peaceful civilians in Donbass. Russia closed its borders to milk and children’s products from Ukraine. Soy-related products from Ukraine are expected to be banned next. Imports into Russia from Ukraine are down 23% in the first 6 months of 2014. Kiev also banned Russian-Ukrainian movie, Poddubny, about Ukrainian champion boxer who became national hero after defeating American champion. Poddubny, unlike Rocky, is based on true historic events. It appears the Kiev junta was afraid to offend their American bosses by allowing this kind of movie to be shown in Ukraine – a new American colony. In addition, Kiev also plans to ban Russian medicine exports. Considering medicine cost in Ukraine is up by 300% this year, banning affordable Russian medicine will make it even more difficult for simple citizens to survive. Russia is growing cooperation with various countries around the world, as well as some former Soviet republics and will have no problem replacing products from Europe. So far, it has been announced that Russia will increase imports of fruits and vegetables from Turkey. This is a big positive for Russia. What I said in my previous articles and predictions is now playing out. I said that in the long run Russia will only benefit from the Western sanctions. Russia doesn’t need foods and agricultural products from the West. This desire to import cheeses, wine and pate from Europe is a leftover hiccup from the 1990s, when desire to be just like the West reigned supreme as the greedy oligarchs ran rampant. Pretty packaging isn’t worth selling your country for. Now Russia can return to her core agricultural suppliers. During my trip, I visited some Central Asian markets and enjoyed authentic restaurants. Central Asia: Uzbekistan, Kyrgyzstan, Turkmenistan – and this concerns Caucasus too – have wonderful agricultural products, much better and tastier than in the West. Sure, their packaging isn’t as pretty, or none at all. So what? You won’t eat packaging; it’s the substance that matters. You can’t even begin comparing the authentic, natural Central Asian, Caucasus and Russian foods with the American over-pesticided, chemicalized, and GMO’ed products. Admittedly, Europe has much better foods and produce, but the good old Europe also started succumbing to same. It’s a little, dirty secret that GMO is already being quietly used in Europe. European soils are depleted from many years of intensive exploitation; crops are down. Europe is desperate for the agricultural output boost, which, they naively think, will be provided by GMO. Russians will only be healthier if such foods are banned. For the full analysis and predictions of the GMO/agriculture situation in the EU, US and Russia, watch: Russia’s #GMO Ban & Russia-China Holy Grail Gas Deal, including global GMO usage charts. Central Asia and Caucasus used to, and they should continue supplying Russia with a huge variety of wonderful fruits and vegetables. In Central Asia everything matures much earlier than in Europe and can yield multiple crops per annum. Moreover, Russia is fully capable of feeding herself with her own agricultural staples. Incidentally, Russia is expecting a bumper grain crop this year. There has been a public outcry in Russia for years that the proliferation of Western agricultural/food imports suppresses domestic producers – again an imbalance left over from the disastrous ’90s. The move of banning agriculture and foods from the West will allow domestic producers to reclaim their lawful place in the Russian market. Wheat, rye, barley, and most other grains, apples, pears, grapes, most berries (Russia has the best berries in the world! ), cucumbers, potatoes, cabbage, beets, carrots, cheese, milk, awesome kefir & tvorog (farmers cheese – it also used to be the best when I was little, and very affordable), and lots of other goodies. Russian territories are huge, agricultural lands are well-rested and natural, unlike the over-pesticided, tired soils in most of the world. In fact, Russia is poised to become a truly natural, wholesome bread basket to the world, once the country invests in agriculture properly. USSR used to have a fully self-sufficient agricultural heavy machinery production. Between Russia and Belarus all necessary agricultural equipment can be manufactured domestically. Unfortunately, due to the suicidal policies of the Kiev government, Ukraine, which is the third former Soviet republic with developed machine industry, has to be excluded from this equation. Finally: this move allows Russia to restore some good will not only with parts of its own farming population, but also with Central Asian and Caucasus republics. The good will became tainted and confused after the breakup of the USSR, when some regions and former Soviet republics felt abandoned by Russia – the result of harmful (some Russians call it treason) policies by Gorbachev and Yeltsin. I would caution my readers from the outright blame. I can confidently say that at least in part, it was naiveté and wishful thinking, going hand in hand with a certain lack of understanding of the geopolitical processes that got both Gorbachev and Yeltsin into hot waters (along with the entire country, I might add). I intend to write about what really happened, why and how, before, during and after the breakup of the USSR, in my future posts and special reports. I promise, the information will be revealing, and in many cases, surprising. And as always, it will be authentic. Stay with me! On the same note, Russia will return to its faithful traditional suppliers from Cuba, Nicaragua and some other Latin American countries. Russia can also renew its agricultural ties with Vietnam, India, and possibly, other Asian countries. This is trickier for a number of reasons, including the GMO/pesticide infestation and the US subservience of some of these countries. Strictly speaking, Russia doesn’t need Asian agriculture as much due to lots of other options. In conclusion: those who were wondering why Putin and Russia were so slow in implementing return sanctions, here is why. In the usual Putin’s style, Russia wanted to first exhaust all possible diplomatic means, appealing to reason and survival instinct of the Europeans, and hoping that the EU has enough sense left. Secondly, the direction Russia wanted to take with any return sanctions had to be such as to not harm the Russian population. Once the former was exhausted and the direction of the latter was determined (agriculture/raw materials/foods, possibly aviation), Russia could start acting. It is clear that Russia is still hoping for a tiny spark of reason from Western Europe. My unfortunate diagnosis is that any such spark cannot be expected from the US, Poland or Canada. UK and Australia are largely in this camp, but perhaps there is a bit more resistance from the population. My diagnosis isn’t very comforting regarding the EU either. Unfortunately, the US has managed to scare European governments into submission. Let’s recall what they did with the French bank BNP Paribas – the $10bln fine nearly bankrupted the bank. To scare the French further, US also blocked France’s access to international exchange facilities; then of course, the access was restored. This cynical flexing of its muscles may be satisfying to the US in the short run, but after this, who in their right mind would still believe US can be reasoned with? This reminds me of a huge monster playing with its food before it devours it. Pretending to let it go for a second, and then grabbing it again, before the fatal strike. What happened to France is a signal to all EU countries – toe the line, or you are next. US, in fact, is very busy manufacturing its ultimate fall from grace. The problem for us all is that while falling into abyss, in its usual style, US tries to drag everyone down with it. Argentina is the latest victim of the US monstrous games. Argentina, which openly supports Putin and Russia, publicly denouncing USA’s and West’s interference in Russian and Ukrainian affairs, is also a supporter of Palestine, speaking up against the Israeli invasion. What happened to Argentina is a warning by the US to other Latin American and third world countries: be friendly with Russia, or try to keep an independent policy – and we’ll devour you. It’s not even a mafia style warning. Frankly, mafia to me seems like a much more sensible and reasonable entity than what we are dealing with here. Here is how they operate: each country has a weakness. They identify this weakness, store it the databank, and when they need to subdue a country, they fish out this information and engineer an all-out attack on the weakest link. For Argentina, it is finances. Argentina, for historic and national mentality reasons, is unable to get its financial house in order based on the predatory ‘western norms.’ Argentine mentality and psyche is so different from the Western psyche that they can’t operate within the Western usury system. If you ask me, it’s a good quality! But it always gets them in trouble with the US and IMF, who are presently monopolizing the world financial system. Meanwhile, Argentina has tremendous natural resources and lovely population. They have lots of potential, should it be allowed to freely develop. It is for the countries like Argentina that the BRICS bank is being created. For more on this read: New Predictions! Putin Goes to Latin America: US Creates Wars – Russia Extends a Hand of Cooperation. Read continuation: Russia’s Sanctions: Who Wins, Who Loses? Much more about Putin and Russia still to come as soon as I get back to my desk after my vacation! Stay with me!